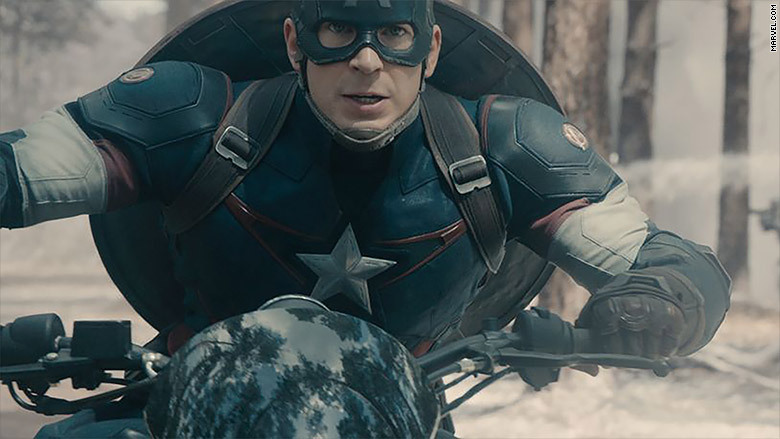 Captain America and the rest of the Avengers are looking towards a big U.S. box office debut. That's the rallying cry that movie theaters are hearing around the world this week as the highly anticipated "Avengers: Age of Ultron" debuts in many markets internationally. On Wednesday, the Disney (DIS)/Marvel Studios film opened as the #1 film in 11 foreign markets including France, Italy, and the Philippines making an estimated $9.5 million on its first day of release. The film opening expanded on Thursday to the United Kingdom, Germany and South Korea. So far "Ultron" has hauled in an estimated $44.8 million in just two days overseas. And the film is just getting starting with Iron Man, Thor, and Captain American hitting 55% of international markets by Sunday. Regardless of what the film makes in foreign markets, it will most likely not fly as high as next weekend's potential record-breaking U.S. opening. Launching domestically on May 1, the sequel to 2012's mega-hit "The Avengers" is on track to debut to more than $200 million in the U.S. Some analysts are saying it could even reach $215 million to $220 million for its U.S. premiere. This would not only be a super-heroic debut, but would leap past the original's $207.4 million -- currently the biggest box office opening weekend in movie history. Only time will tell if "Ultron" actually beats its predecessor's premiere or its $1.5 billion worldwide total. Yet, most signs are pointing to the film easily being the biggest movie of the summer and possibly all of 2015. Well, at least until another Disney owned franchise, "Star Wars: The Force Awakens," opens in December.